"We haven't won anything yet, and we know what that feels like from four years ago," veteran Abby Wambach said. 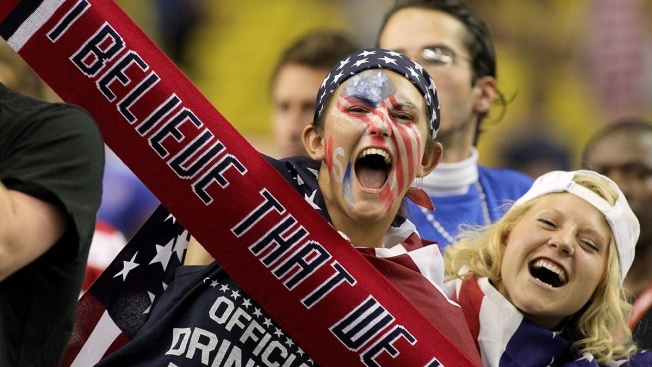 Fans of the United States celebrate after the USA 2-0 victory against Germany in the FIFA Women's World Cup 2015 Semi-Final Match at Olympic Stadium on June 30, 2015 in Montreal, Canada. Abby Wambach remembers the date by heart: July 17, 2011. That was the day the United States lost to Japan in the Women's World Cup title match in Germany. The Americans get a rematch on Sunday when the teams meet again in the final, this time in Canada. The U.S. women are favored, and there figures to be a mostly pro-American crowd making the short trip across the border to Vancouver's BC Place. Wambach and the rest of her teammates say they aren't taking anything for granted. The United States, ranked No. 2 in the world, is seeking its third World Cup title, but first since 1999. "We still have to win. We haven't won anything yet, and we know what that feels like from four years ago," Wambach said. "It's not a good feeling." The United States is coming off an impressive 2-0 semifinal victory over Germany, the team that had unseated the Americans for the top spot in the world rankings. Criticized at times for a lack of offense, the U.S. has posted five straight shutouts. "I think we have really good momentum. I think we have confidence as a group. But we need to raise our game as well," said midfielder Carli Lloyd, who leads the Americans with three goals. "This is the final, everything's on the line, there's no holding back. There's no reserving energy. It's full throttle." Japan, ranked No. 4 in the world, has won each of its six matches during the monthlong tournament, relying on its steady tactical skill. It is trying for its second straight World Cup title. "It's the final game, the last one, so there's no more than that and we should really cherish this moment that we are going to the final," Japan coach Norio Sasaki said. "But I would also like to have a game that would contribute to the development of football in the world." THE LAST TIME: Japan's victory over the United States four years ago was Asia's first-ever World Cup title. The Japanese erased a pair of one-goal deficits. 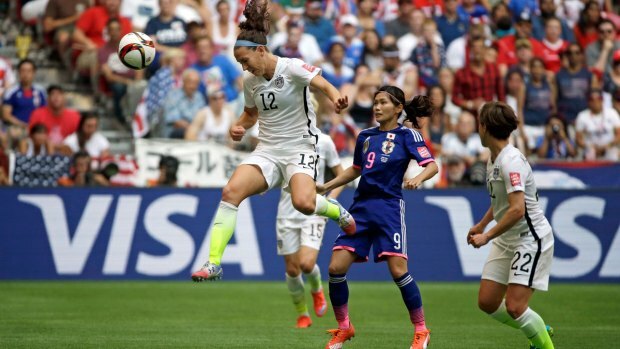 Wambach scored in the 104th minute to give the U.S. a 2-1 lead, and Homare Sawa tied it 13 minutes later. Japan then prevailed 3-1 on penalty kicks. It was an emotional victory, following the massive earthquake and tsunami that hit the nation in March, killing more than 20,000 people and touching off the worst nuclear catastrophe since Chernobyl in 1986. Before boarding the flight home from Germany, Sawa said: "I have to dedicate this win to the people who suffered the disaster." LIGHTS-OUT D: Anchored by Hope Solo in goal, the United States' most consistent asset in the World Cup so far has been its defense. 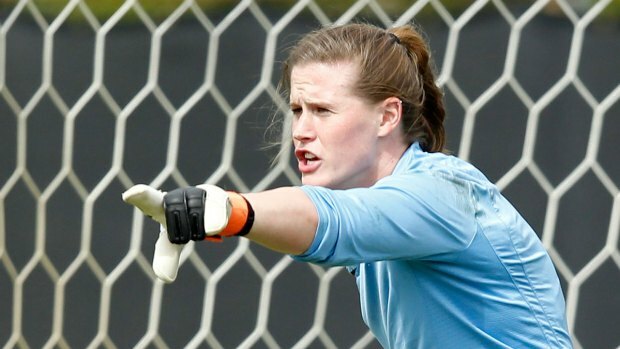 Solo, who won the Golden Glove award for the 2011 World Cup, has put up five straight shutouts. She has been helped by a solid backline of Meghan Klingenberg, Becky Sauerbrunn, Julie Johnston and Ali Krieger. The United States has gone 513 minutes without conceding a goal. Only Australia, in the first half of the group-stage opener, has managed to score against the Americans. HONORING A TEAMMATE: That white teddy bear that has been a constant feature on Japan's bench throughout the tournament honors midfielder Kozue Ando, who broke her left ankle in the World Cup opener against Switzerland. While Ando returned home to Japan, she remains close to the players — and not just symbolically with the teddy bear that wears her jersey. She was in her teammates' thoughts during the semifinal victory over England. "Miss Ando was talking to the players in the locker room on the phone, and also she sent messages," Sasaki said. "And also was the fact that she could come to Vancouver to cheer for us. That was the source of our energy. So we were able to do that." THE NUMBERS: It will be the U.S. team's fourth appearance in the final. The Americans won the World Cup the first year of the women's tournament in 1991, and then again in 1999. The '99ers, as they are called, defeated China on penalty kicks in the final at the Rose Bowl. The United States has a 24-1-6 all-time record against Japan, and a 2-1 advantage in World Cup meetings. This is the third major women's soccer tournament where Japan has played the United States in the final. The countries also met in the gold-medal match at the 2012 Olympics, which the Americans won 2-1.